Sacramento Auto Repair CA - TOS Auto Repair Inc.
5 review by Fixnmyhouse L.
Welcome to TOS Auto Repair Inc. 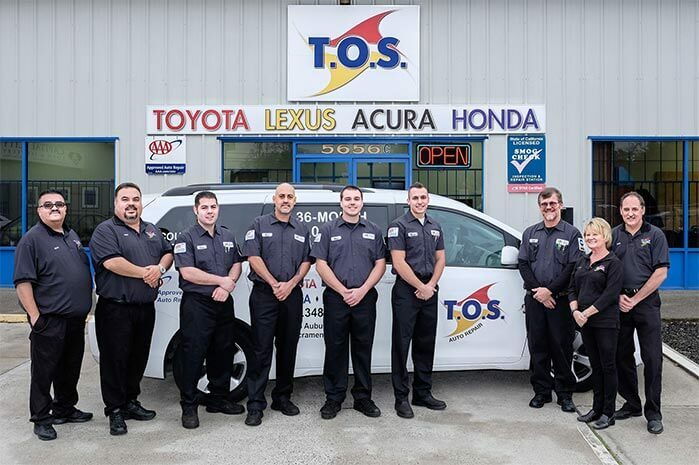 Here at TOS Auto Repair, we’ve been building a solid auto repair business in the Sacramento & Citrus Heights area since 1985. The ASE-Certified auto mechanics who service your vehicles take great pride in educating you, our friends and clients, as well as themselves. Our many five-star reviews reflect the care we put into every repair or service. You can rest easy knowing that our auto repair technicians are honest, fair, and reliable. Because our auto mechanics care about your family and their safety, we bring many benefits to you that you won’t find at many other shops. We have a courtesy shuttle because we respect your time. If you do decide to wait, there’s a super-comfy waiting room that includes free WiFi, couches, chairs, TV, many snacks, and a Keurig coffee maker. We even have a massage chair (you might not want to leave!). TOS Auto Repair has Toyota and Honda factory scan tools so we can properly diagnose and service your vehicles. 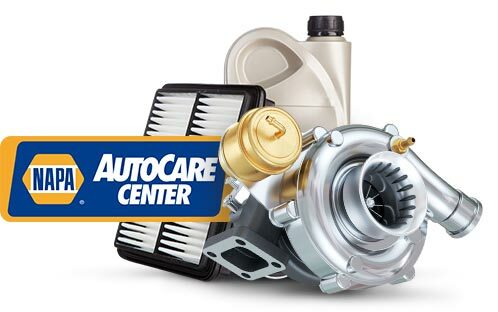 We only use high-quality parts and that’s why we can offer a three year 36,000 mile warranty. 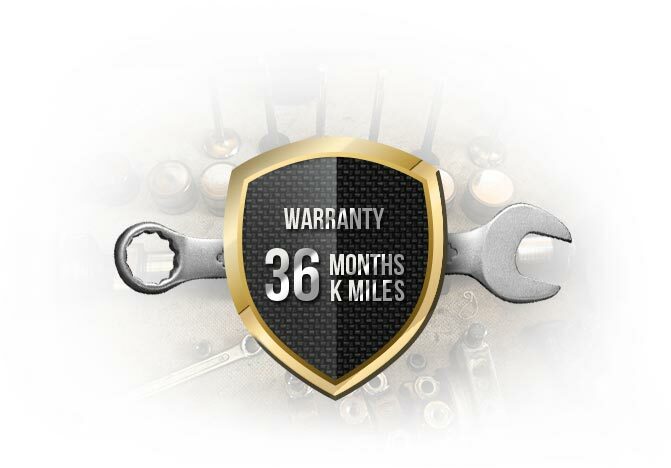 Our warranty is a 3-year/36,000-mile WorldPac plus self-warranty, which means it’s a nationwide warranty. We also offer roadside assistance for up to one year from your last visit with up to $75 reimbursement in case something happens outside the Sacramento & Citrus Heights area. Any repair over $25 includes this! One of our passions here at TOS Auto Repair is education. That’s why our auto repair technicians are continually improving their knowledge base. All our service advisors and technicians are ASE-Certified. Three of them are masters, and the others are taking classes to become master technicians. We’re affiliated with the Better Business Bureau (with an A+ rating), are a AAA-certified shop, and are Star-certified for California smog testing, which means we not only test but can fix your car in case it fails the smog test. At TOS Auto Repair, we want our friends and clients in Sacramento & Citrus Heights to experience our digital inspections, which are already receiving rave reviews! Our digital inspections give you color-coded priorities (red, yellow, or green). All our service advisors have double screens so they can go through the inspections with you. We can send pictures in text messages or email for your convenience. The pictures allow you to see exactly what’s going on. “They are professional, and check everything so you feel safer driving without worrying about surprises that most know usually come at the worst time. Only place in town I trust.” -- Terry F.
At TOS we will do the best possible job for your car. Whether your job is big or small, we are your Toyota, Lexus, Honda and Acura Service Center. Feel free to look around the rest of our website for more information or call us today to schedule your next service! We have factory trained and certified Master Diagnostic Technicians and all our Technicians are ASE certified. We offer one on one personalized service providing top quality repair and integrity at an honest price. Because our quality is top in our field, we offer a 36 Month/36,000 Mile Warranty Nationwide.